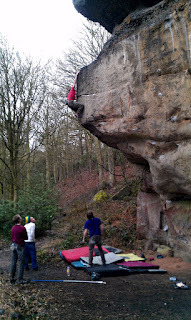 So as I mentioned briefly in the previous post our super strong Slovenian friend, Gasper, spent the last week kicking it in the Peak with us geezers and learning what British climbing is all about, along with what us lot have to deal with on a daily basis. 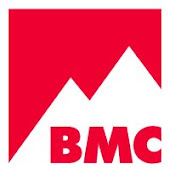 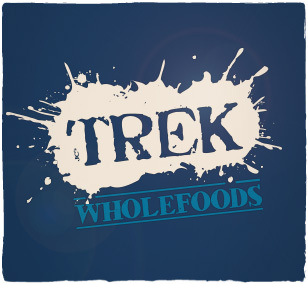 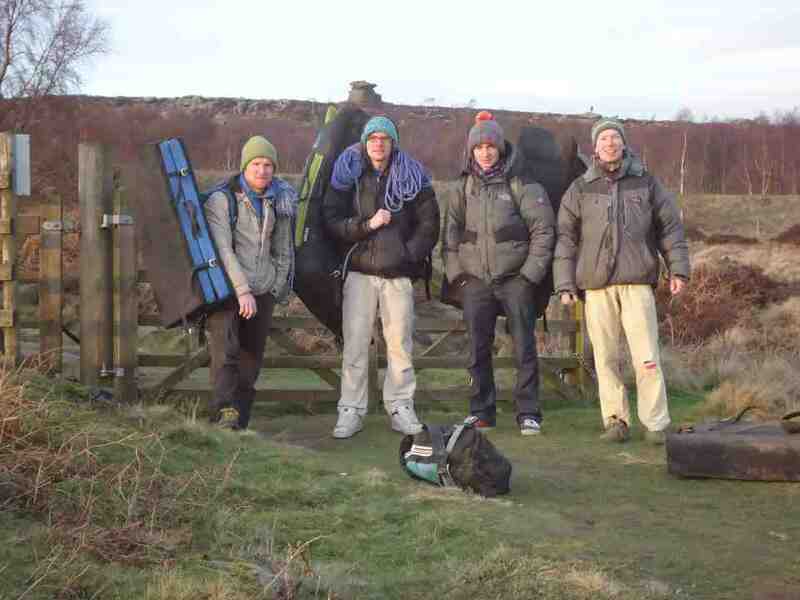 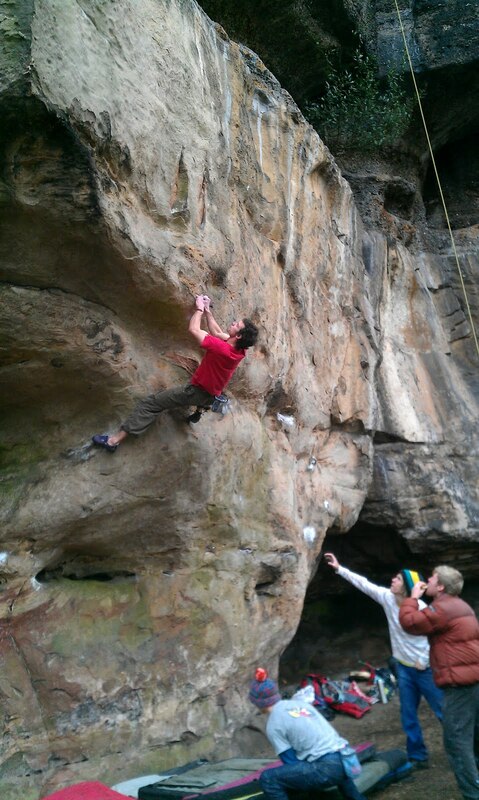 Bearing in mind this guy climbed 8c when he was 15 we were all syked to see how he would get on! 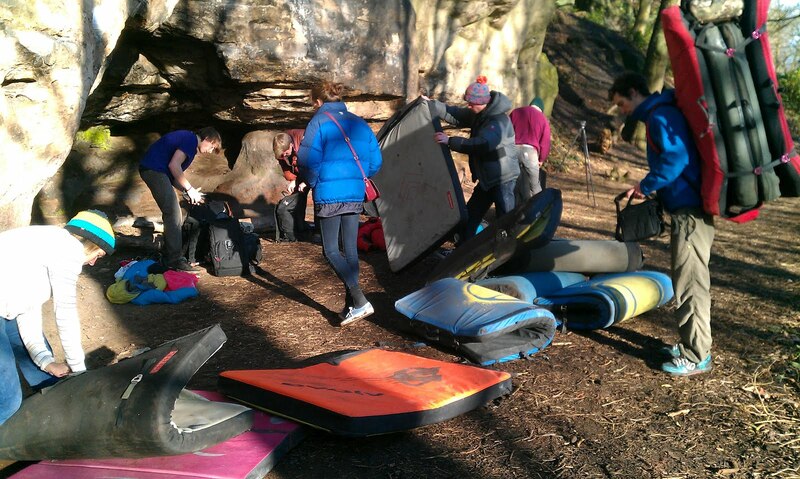 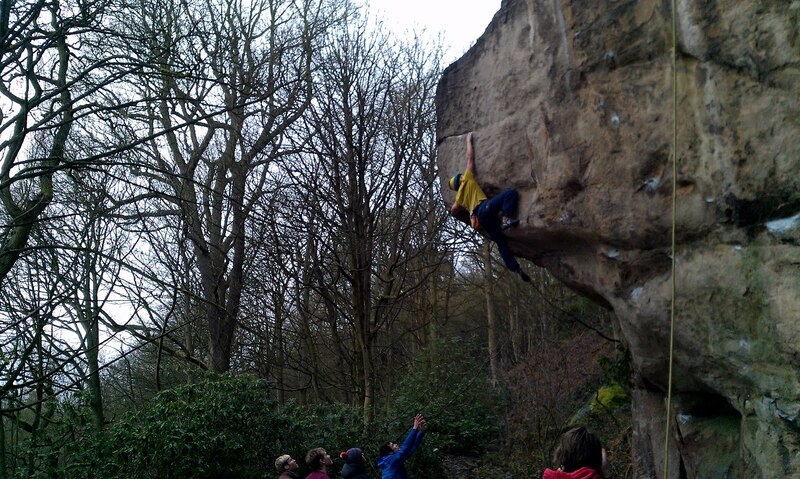 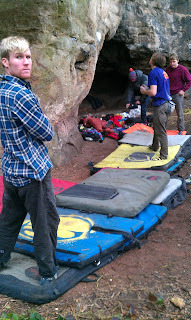 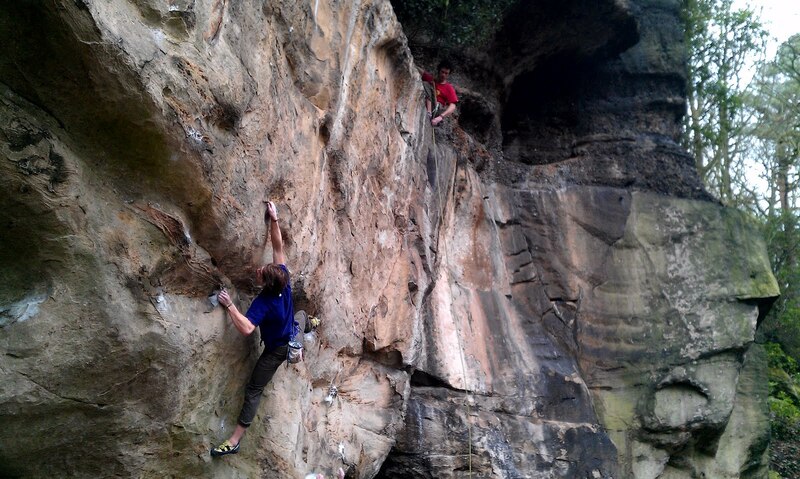 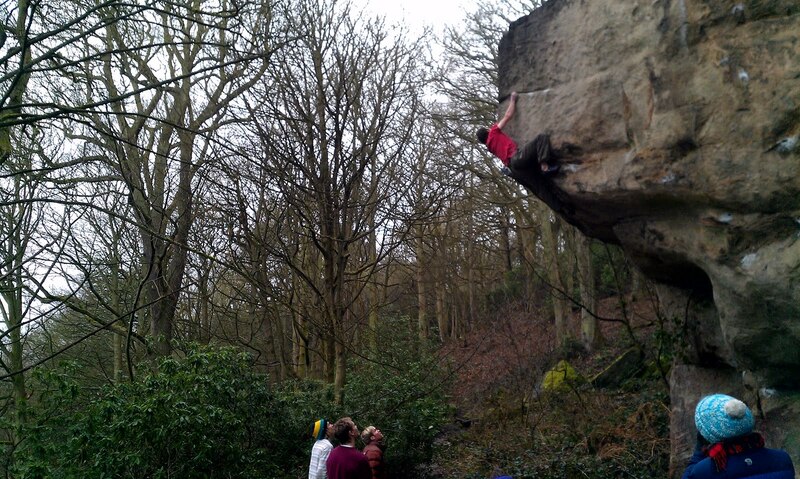 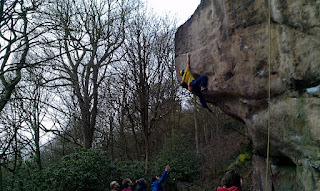 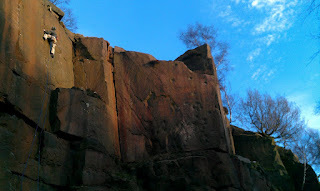 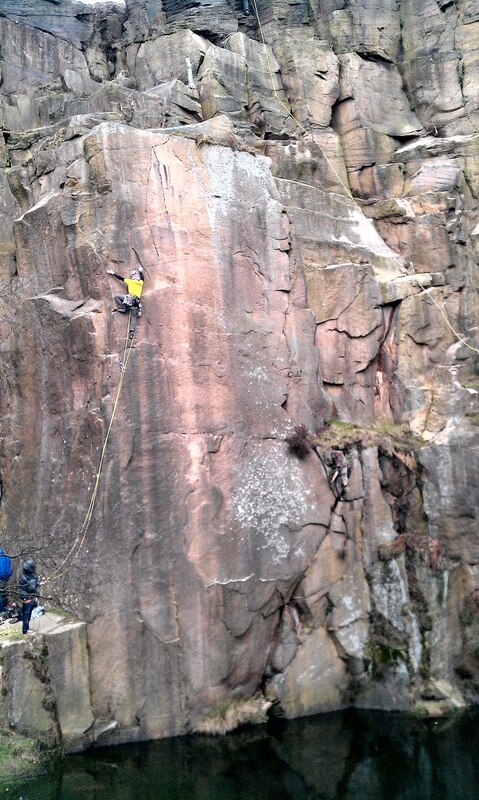 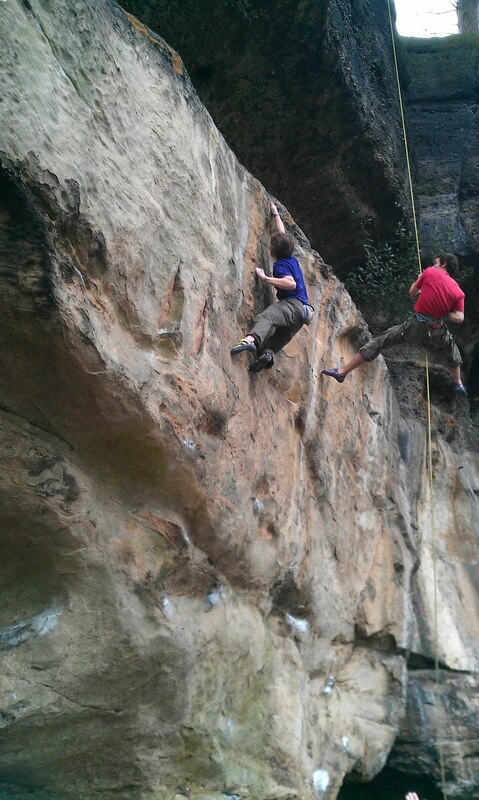 For his first ever 'trad' route he boshed out the highball E6/7 Thumbelina at Ina's Rock in the Churnet! 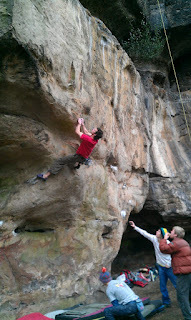 Check out the pics, and I will upload some video when I get around to it. 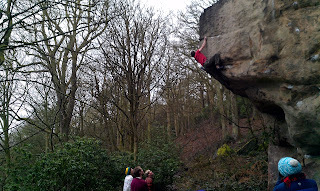 It was an awesome day out with a big crew, and huge crush fest with us all sending this scary classic. 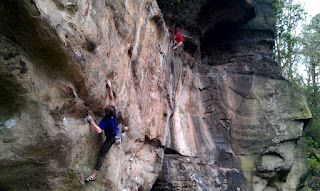 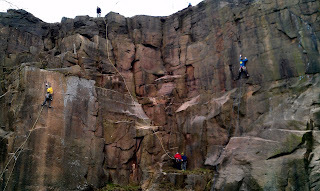 Cornelius was up next just to the left, Dave led the way and soon found himself through the high crux and topping out. 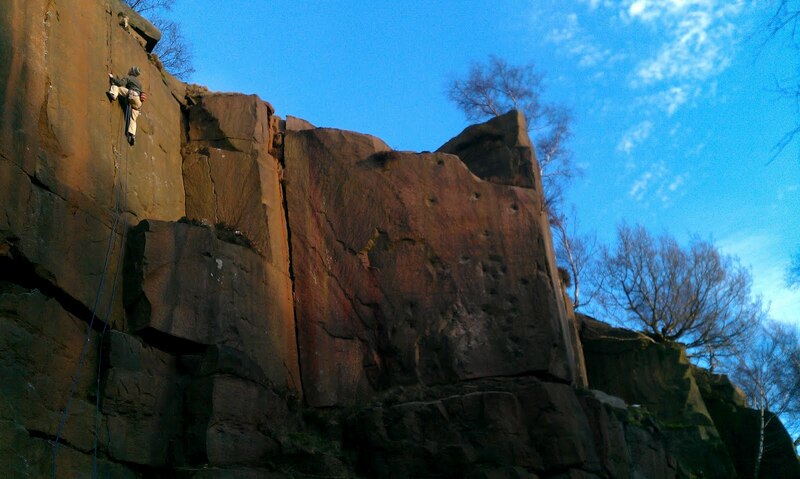 We'll be back to finish this off soon, that bloc is high! 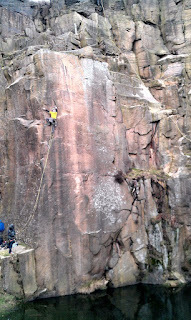 Being mainly a sport climber, Pinti was especially excited about checking out the Tor, however we arrived and the place was soaked, but he was happy to have seen all the famous lines and to experience his first taste of fish and chips after!